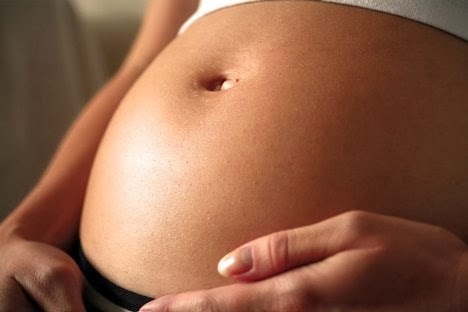 LEGASPI CITY, ALBAY— The pregnancy rate of women aged 15 to 19 in the region has doubled from 2006 to 2010, according to the Family Health Survey of the National Statistics Office. Chi Laigo Vallido, an advocacy specialist of the non-government organization Forum for Family Planning and Development, announced the information during the recent First Adolescents Congress held in this province. Vallido did not provide the actual data, but indicated that the number in Bicol is lower than the figures from other regions. Vallido’s sentiments are echoed by the many organizations around the world, which call to prevent the enormous number of mothers dying from pregnancy and childbirth. Teenage pregnancy is said to be the number one killer of girls aged 15 to 19 worldwide, says The Girl Effect, one of the groups seeking to curb the pressing problem. This is because women who get pregnant at such a young age are more prone to pregnancy-related complications. Among these are hemorrhage, eclampsia, obstructed labor, and infections. In developing countries, the same organization says that 1 out of 7 girls marry before they turn 15. One-half of the girls in developing countries also become mothers before they turn 18. 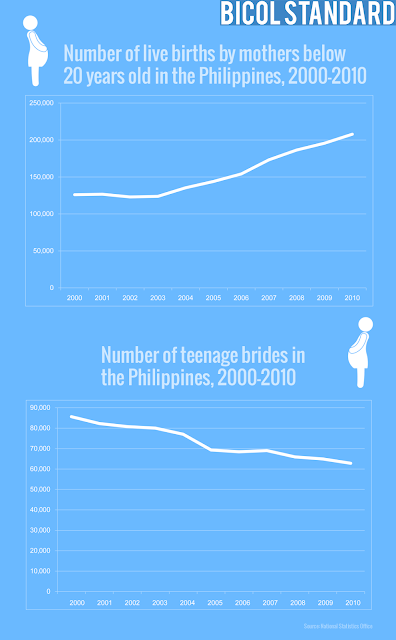 Data from the National Statistics Office show a correlation between teenage marriages and pregnancy, as well. Here, the number of teenage pregnancy cases continues to rise, while the number of teenage marriages has been steadily declining for the past ten years. According to Vallido, the country has the highest number of teenage pregnancy cases in all of Asia. The number of cases also contributes 20 percent to the total number of maternal deaths in the country. Such teenage pregnancy cases are allegedly responsible for the 500,000 to 800,000 cases of induced abortion that occur every year in the country. Maternal health advocacy groups often argue that the government needs to put more effort into confronting the problem. Some suggested solutions are improved access to skilled medical care, enhanced facilities, and a wider educational campaign regarding responsible parenthood, particularly for the youth.